This is about our Philippine president calling our God stupid. I remember when I was a teenager and my father had an altercation with our neighbor. With a bolo in his hand, the neighbor challenged my father to a fight. I was afraid, but my father was apparently not disturbed. He did not respond to the provocation. It was an attitude that I did not understand then. As a son, I felt I had to do something not because my father needed it but because I needed it. I felt that I had to intervene, and if necessary, "defend" my father in a way that I was not even sure how. By speaking ill of my father, the neighbor also hurt me. I felt violated. What greater love can we offer to our parents than to be on their side when they are threatened? What better expression of support can we show to them than to speak on behalf of our mother and father when they are maligned for no apparent reason? Yes, even if they do not need it, and even if we are afraid. To my relatives, friends, fellow priests, and religious in the Philippines, I am afraid to speak to you about this because I am not holier than anyone of you. I hesitate to tell you what I think because you have been so good to me, and many of you are even better than some of those who criticize our president. Even if I don't understand your unequivocal support to the policies of the administration of President Rodrigo Duterte, I respect you in the same way that you respect me when I do not completely agree with you. But this is no longer about the president. This is about our Father in Heaven and our Mother Church being maligned. God does not need us to protect Him, but we need to say something because in our blood we have the same DNA with His Son as "we are created in His own image and likeness." The Church "will prevail even if the gates of hell will bar," but to be on the side of our Mother when she most needs it is the least that we can and should do. In these challenging times, we need to draw the line. When he cursed the Holy Father, we were silent. Now that he calls our God "stupid," I could not be silenced. My mother is imperfect, if there is such thing as a "perfect mother." She only finished fourth grade because of war and poverty. After years of hard work, her forehead is now covered with wrinkles. After two medical operations due to a fractured hipbone, she no longer looks like the once strong mother that breastfed eight children. My Church is no different. She is imperfect and she does not hide this reality. In Latin, we say "Ecclesia semper refomanda," that is, a Church that is always in need of reform and conversion. Albeit imperfect, she is my mother and I am her son who is equally imperfect. She baptized me through the hands of a priest. She taught me through the catechists the basic tenets of faith. She formed me through the help of my formators and professors, and ordained me as her minister when I was found ready. As a parish priest, I saw the Church in my volunteer catechists and lay leaders who walk for hours from the mountains to reach the parish for their ongoing formation. I also experienced her in my parishioners who would understand me even if my homilies at times were boring and when my impatience and lack of understanding would get the better of me at one time or another. And I saw her mutilated when my brother priests — Marcelito Paez, Mark Ventura, and Richmond Nilo — were brutally murdered, not to mention Claretian missionary priest Rhoel Gallardo, my companion in the seminary, who suffered the same fate in 2000. I also see her in the person of Pope Francis who washes the feet of Christians and non-Christians on bended knees on Holy Thursday, even if it is difficult for him to do so given his condition. My mother Church is not perfect, but I am just happy because I could belong and relate to her in the same way that I belong and relate to my mother. Indeed, I can draw a longer list of imperfections, but God is not done with us yet. Jesus called Peter and the other apostles not because they were morally perfect, but because the Holy Spirit will guide this imperfect Church in spite of the failings of her leaders. It is very easy to condemn in a general way not knowing that we also malign ourselves every time we speak ill of the Church for we are indeed the Church, a family bound together by a common priesthood and the same call to holiness. 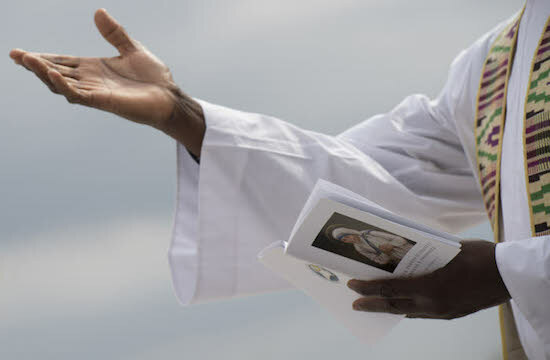 It is tempting to denounce on the basis of our personal negative experience of a priest or a sister, unmindful of the countless bishops, secular priests, consecrated persons and lay leaders who struggle every single day to remain faithful to their vocation and mission, while putting their lives on the line. Thus, the moment we are tempted to laugh or to keep silent when the Philippine president, or any person for that matter, mocks our Church, we think kindly of our mother who gave us life and the Church who gave us faith. When everything is said and done, the fact remains that the Catholic Church was and is the biggest charitable institution in the world and no amount of mockery and persecution can destroy her foundation laid by Jesus Christ. This is not so much to defend my mother (because the truth can speak for itself) as much as to defend my being a son. 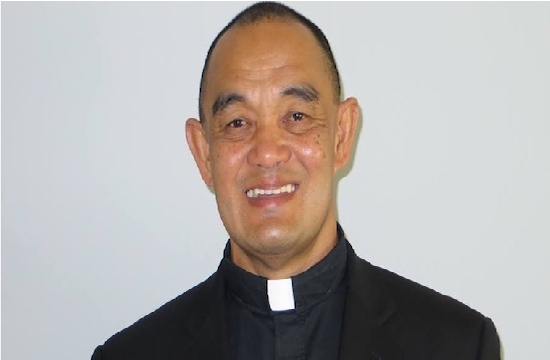 Filipino Claretian Father Elias Ayuban Jr., CMF, a doctor of canon law, is an official at the Congregation for Institutes of Consecrated Life and Societies of Apostolic Life in the Holy See.